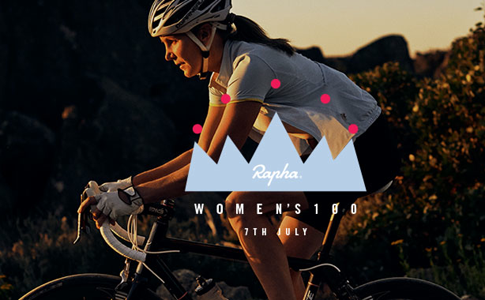 Rapha has launched a global campaign to get thousands of women to ride 100km on the 7th July. 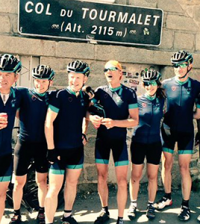 The 7th July is the date of the Etape du Tour Sportive in France and Rapha are sending 100 women to ride it. It is also the year of the 100th Tour de France and what better way to mark it and set up the next 100 years of women’s riding. The Rapha Women’s 100 is not a competition to see who is the fastest, slowest or fittest, it is about gathering a global community of women around the world to take part in this shared adventure. The Rapha website will feature tales from women riding the 100 and chart their training, experiences and thoughts leading up to the big day, along with details of rides and competitions. From seasoned racers to brand new roadies, all will unite on the 7th July to ride 100km. Rapha are asking men and women to encourage women they know to join the Rapha Women’s 100, spreading the message online and organising rides. 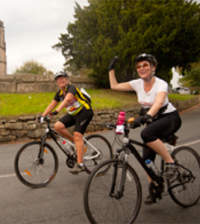 Twitter/Instagram: Use #womens100 and tell all your followers that you will ride 100km on the 7th July. Post pictures of your journey to the 100.